Nose: Sweet and soft, with notes of wheat, corn and custard. Caramel, candy floss and dried fruits. Palate: Rich and thick with notes of caramel, vanilla, dates, walnuts, coffee beans and soft oak. Very buttery and incredibly smooth. 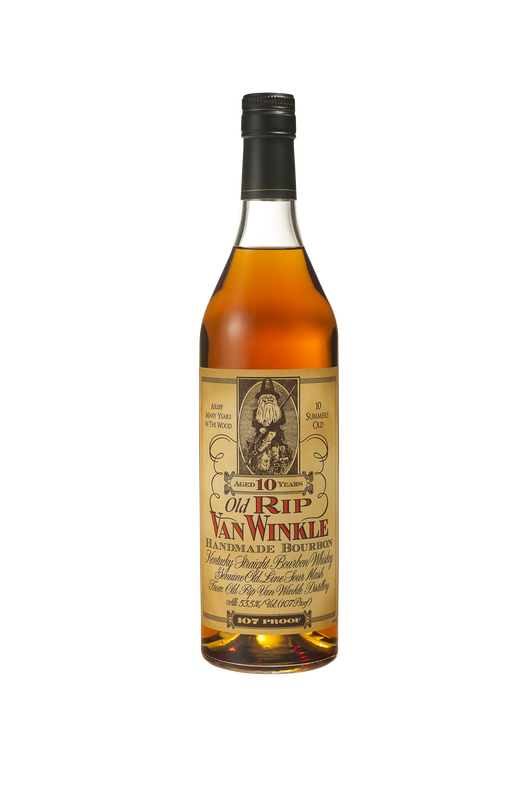 Notes: Old Rip Van Winkle's 10 Year Bourbon is the youngest of Pappy Van Winkle's award-winning lineup. A splash of limestone well-water is added before bottling for two reasons: to make an exceptionally smooth whiskey and to keep it as close to barrel proof as possible. The 10-year aging period in 100% new oak imparts strong vanilla and toasted wood flavors to each sip. If you can get your hands on a bottle, be prepared for a buttery mouthfeel, balanced, rich flavors ranging from caramel to roasted nuts, and a long, spicy finish. A cask strength bourbon from Old Rip Van Winkle, this is rich, sweet and incredibly smooth and toasty. One of the best American whiskeys.